Phnom Penh (FN), Feb. 21 – US Embassy in Cambodia’s Chargé D'Affaires Michael Newbill, acknowledged that demining landmines (massive contamination), cluster munition remnants (heavy contamination), and other unexploded ordnance (UXO) in Cambodia is the US’s obligation, speaking in a meeting with First Vice-President of the Cambodian Mine Action and Victim Assistance Authority (CMAA) Ly Thuch on Wednesday. Michael Newbill highly supported the government’s commitments to become a mine-free region by 2025, and pledged to expand aids on mine actions in Cambodia in the future. 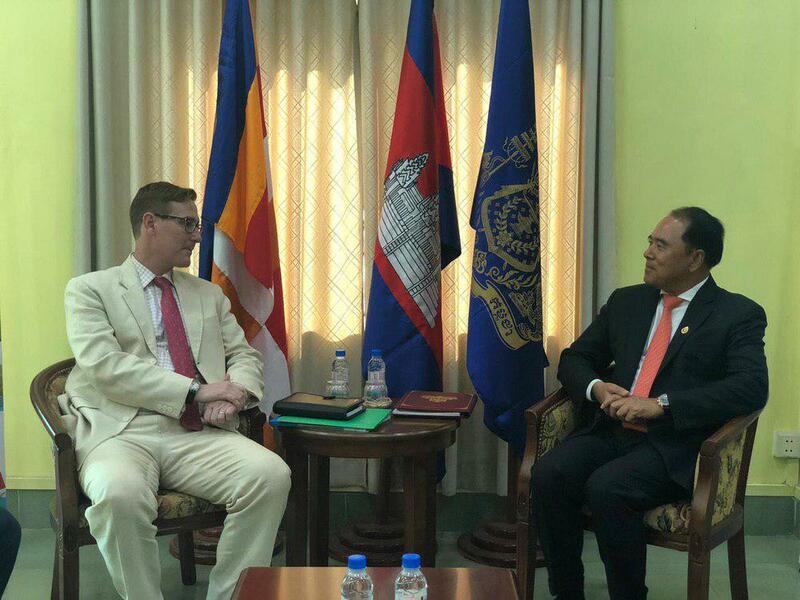 Senior minister Ly Thuch informed Michael that mine and unexploded ordnance remains a challenging issue for the kingdom. Some victims suffered mines in their farmland. They had no choices but to continue farming to support their livelihoods even though the land has not been cleared. Cambodians are still vulnerable to landmines. Last year’s reports indicated that people in Preah Vihear and Banteay Meanchey provinces were victims of mines explosions, which required the Royal Government to continue solving not just landmines, but also cluster and chemical bombs. 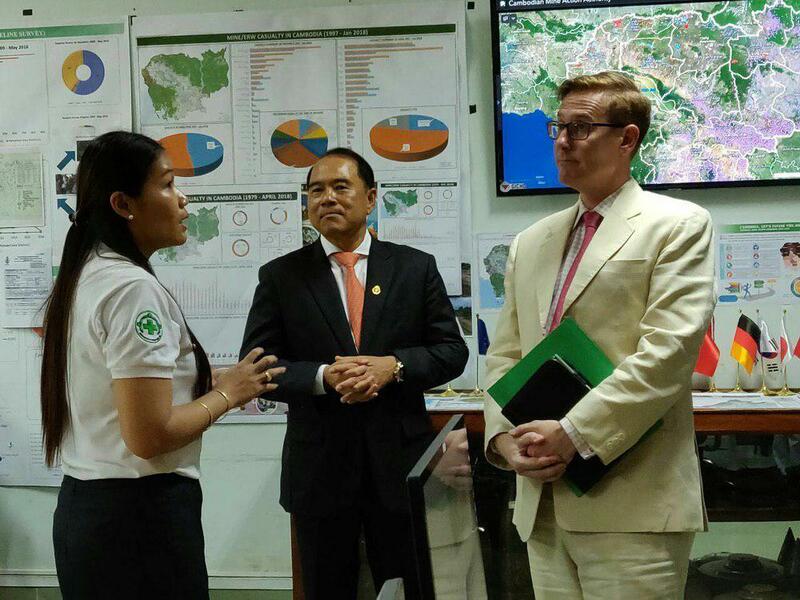 The Royal Government, in late July, approved a 10% additional budget to support the Cambodian mine action, according to Ly Thuch. "Assisting mine action sector is the government's effort to reduce rural poverty," he said. The first vice-president of CMAA also informed Michael that the Royal Government of Cambodia, headed Prime Minister Hun Sen, always strives to build friendship with all countries in the world based on the principles of mutual interests, and respects to independence, sovereignty, and non-interference in internal affairs of other states. 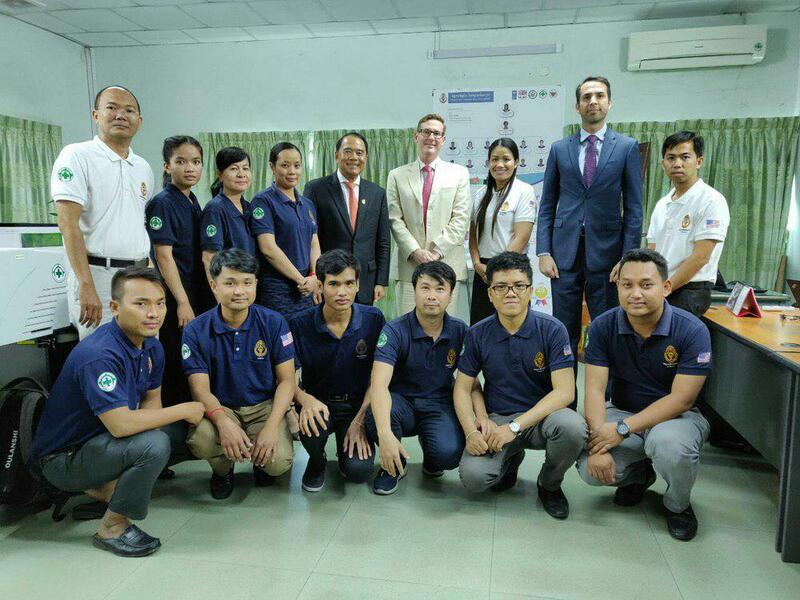 Over the last 25 years, from 1992 to 2018, Cambodian Mine Action Center (CMAC) – the leading national demining operator – reported to demine 518,233 anti-personnel mines, 10,667 anti-tank mines, and other 2.8 million pieces of unexploded ordnances on an estimated 900 square kilometers of mine-contaminated land, according to the report released in late 2017. 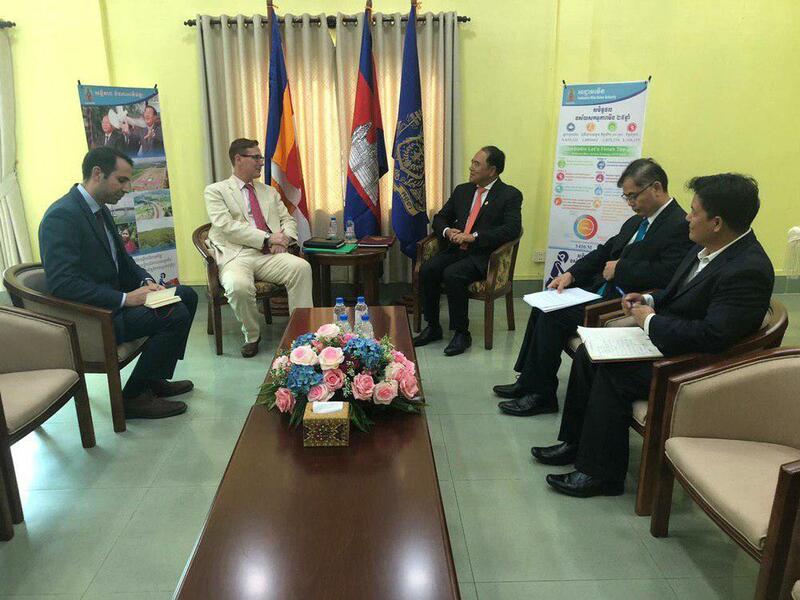 The Royal Government of Cambodia is committed to clear all mines from Cambodia by 2025 under the assistance of partners and stakeholders. CMAC requires $100 million to clear landmines and unexploded ordnances for the next five years, according to Heng Ratana, Director General of CMAC. "CMAC has prepared 10-year rolling plan (2016-2025) to clear 500 square meters of landmines that will require about $100 million in the first five years," stated Heng Ratana. Due to Cambodia's efforts in the last decades, the accidents resulted from mines and unexploded ordnances have dropped remarkably. Landmine casualties in Cambodia from 2000-2005 accounted for over 800 accidents per year, fell short to 100 accidents per year in 2016-2018. Despite the dramatic drop in rates, this figure is still high compared to countries of mine issues, according to Ratana; he urged international partners to continue the demining aids for Cambodia in response to the needs of Cambodian people.